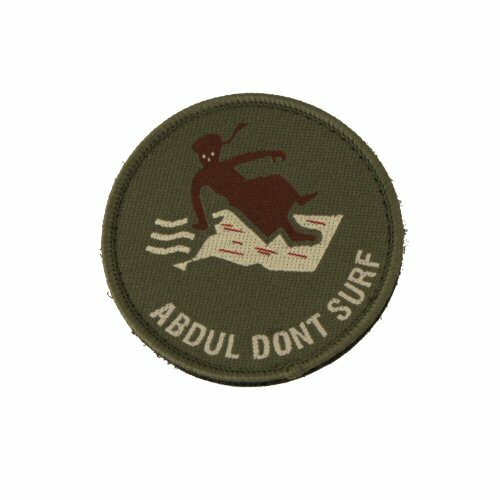 Velcro patch approximately 5cm diameter in olive and subdued colours, 'Abdul Don't Surf'. Sewn velcro loop on rear, mounted on patch of loop velcro. To match with olive, woodland, Multicam, sand clothing. Interwoven design with merrow edge similar to British blood patches.